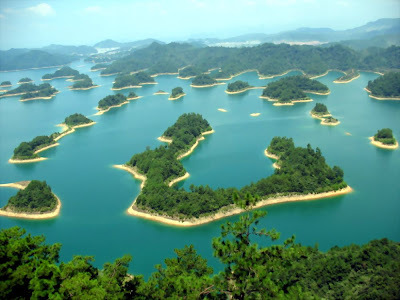 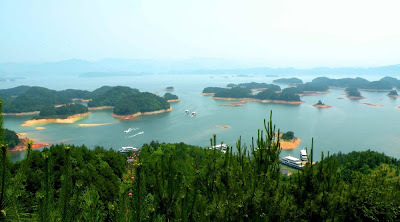 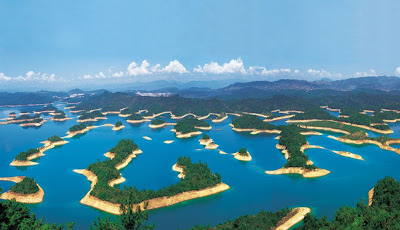 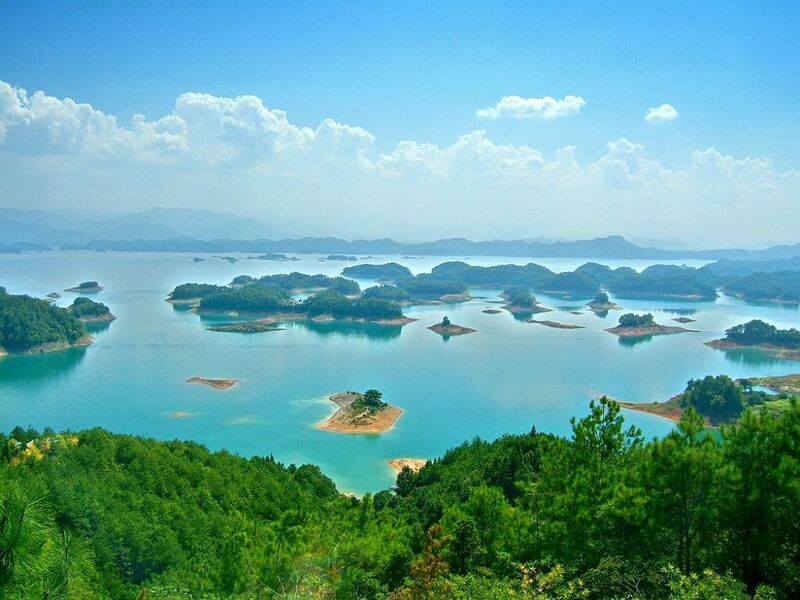 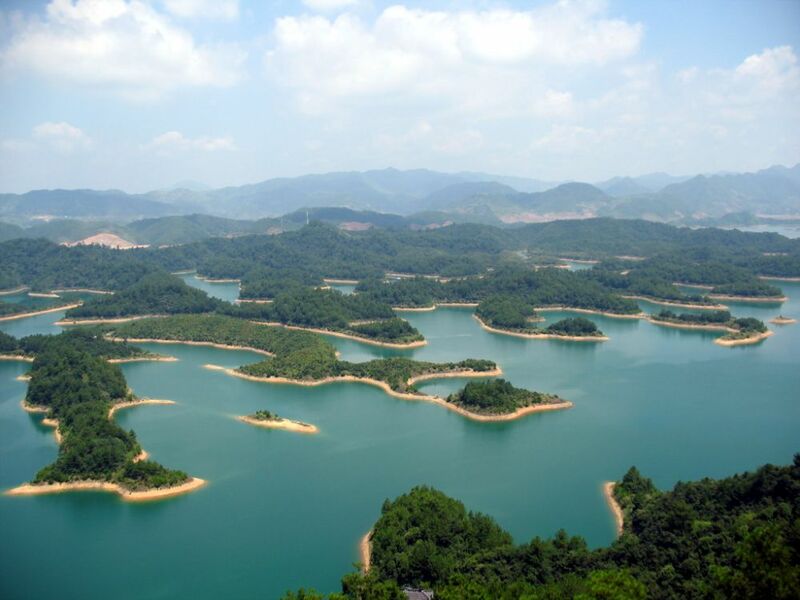 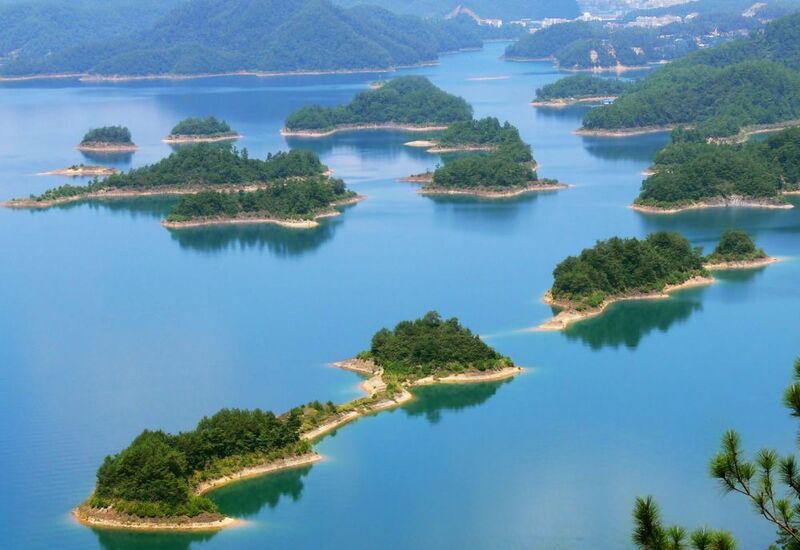 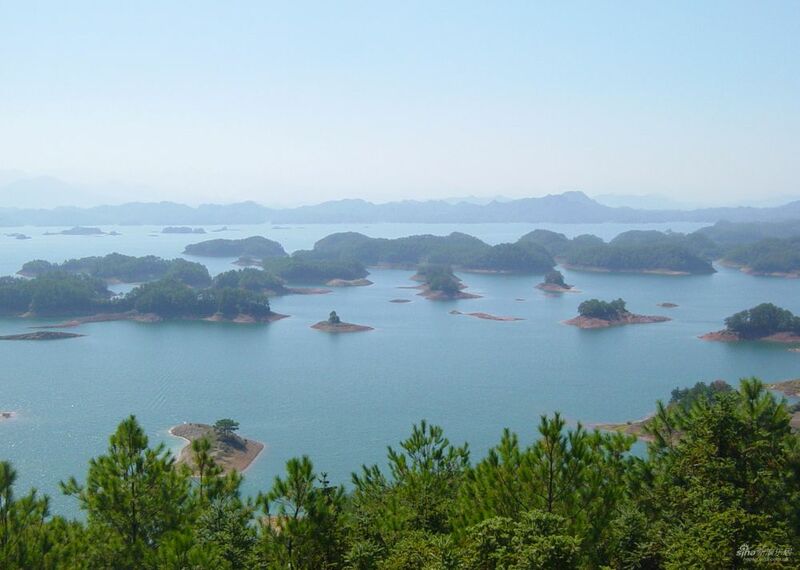 Tsyandyaohu Lake is located 150 kilometers from Hangzhou City. 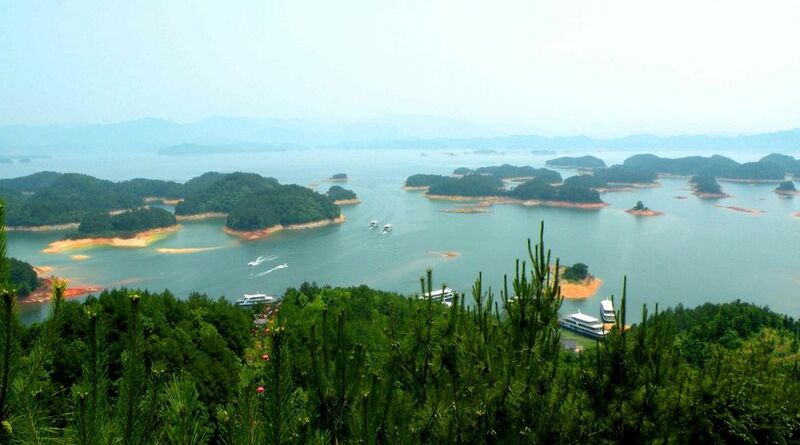 On the lake are more than 400 large and small picturesque islands. 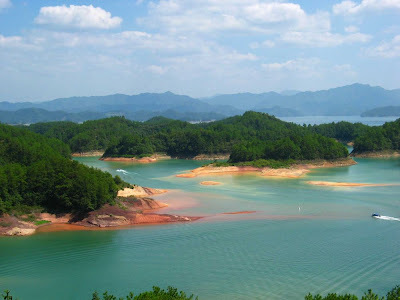 Tsyandaohu Lake is an artificial lake, it has emerged in the late 50s of last century as a result of overlap of the river for hydroelectric power. 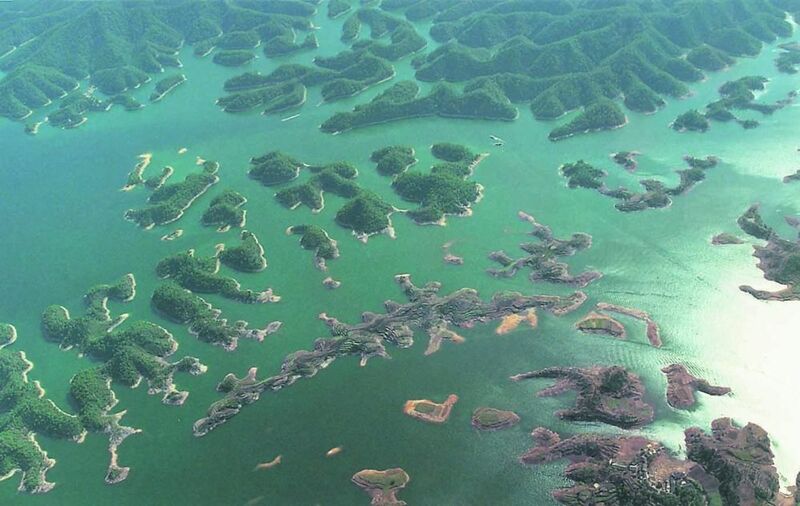 The total area of the lake area is 573 square kilometers, which is the largest freshwater lake in eastern China. Tsyandaohu Lake is known for its clean water. 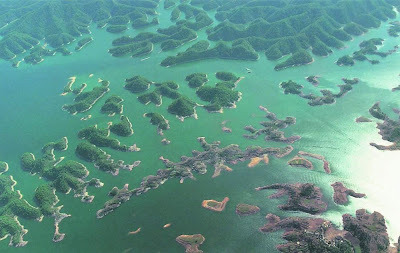 The water is so clear that even in the deepest places you can see the bottom. 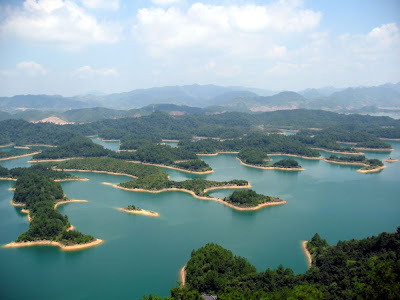 From the surrounding hills, the lake offers a terrific view of the imagination. 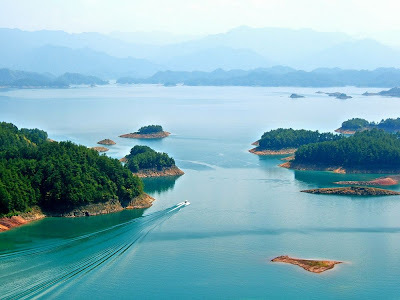 At present, there is a lake Tsyandaohu 90 species of birds, among them the white heron, hawk, swan, just about 61 species of wild animals, 50 species of reptiles.